Sri Lanka’s Lasith Malinga made a dream return to one-day cricket as he picked up four wickets against Bangladesh in the opening fixture of the Asia Cup 2018 . Malinga, who hasn’t played a single one-day international in 16 months, made his presence felt as he dismissed Liton Das and Shakib Al Hasan on consecutive deliveries. However, Mushfiqur Rahim and Mohammad Mithun steadied the innings by scoring half centuries. The fast bowler went on to dismiss Mohammad Mithun, who contributed 63 runs with the bat. The right-handed pacer took the wicket of Mossadek Hossain as well. 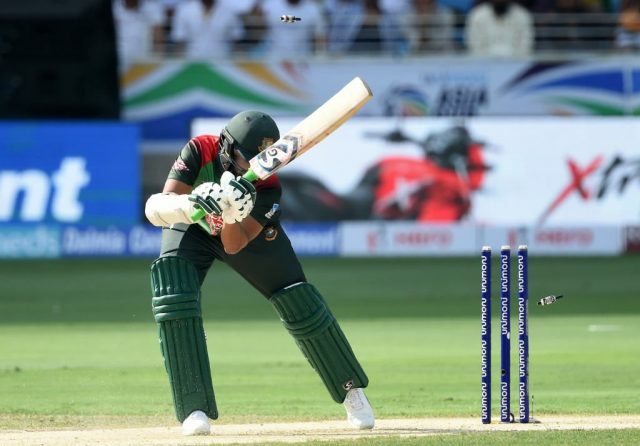 Tamim Iqbal was retired hurt in the match. Sri Lanka (Playing XI): Upul Tharanga, Dhananjaya de Silva, Kusal Perera(w), Kusal Mendis, Angelo Mathews (captain), Thisara Perera, Dasun Shanaka, Lasith Malinga, Suranga Lakmal, Amila Aponso and Dilruwan Perera. Bangladesh (Playing XI): Tamim Iqbal, Liton Das, Shakib Al Hasan, Mushfiqur Rahim (w), Mahmudullah, Mohammad Mithun, Mosaddek Hossain, Mehidy Hasan, Mashrafe Mortaza(c), Rubel Hossain and Mustafizur Rahman.